"Ooey Gooey Brownies" is the short name for these bad boys. 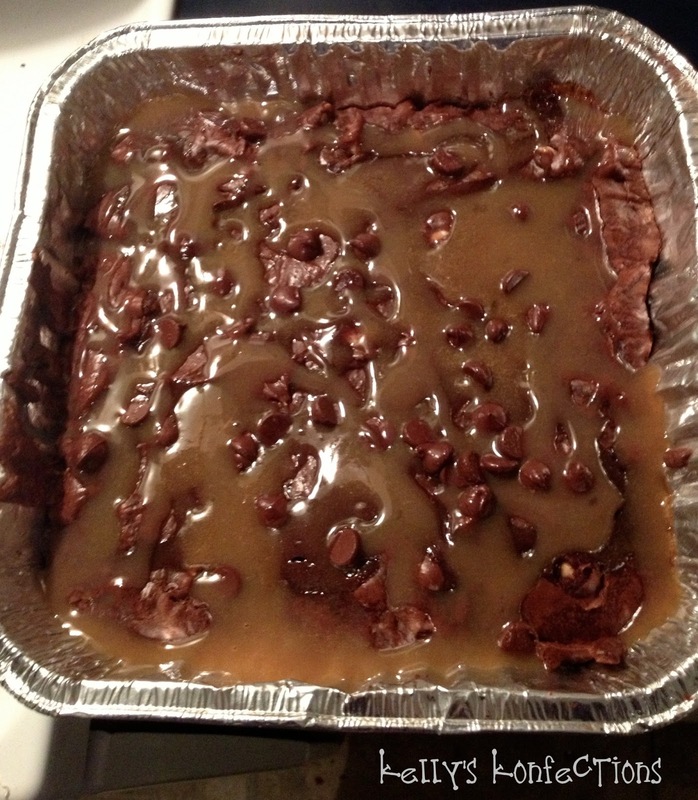 The long version is "Ooey Gooey Peanut Caramel Chocolate Chip Brownies." They look a little gross, but they're seriously delicious. I apologize for the picture quality of my last few posts. Life has been... hectic. To say the least. Chris requested this combination of flavors, and I adapted my favorite brownie recipe to accomodate his vision :) He's so talented at coming up with recipes and food combinations. I have an exam in the morning, then I'm jetting off for Spring Break. So I'll put in the full recipe later. For now, I'll just say there are a handful or two of chocolate chips and chopped up peanuts. 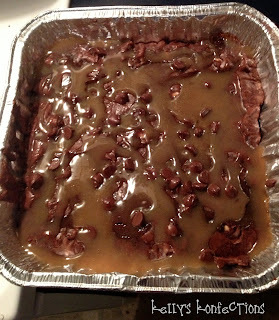 Then I poured some pre-made caramel sauce on the brownies when they came out of the oven. I'd recommend sticking them in the fridge for a few hours to firm them up. They're gonna be ooey gooey, but fantastic.